Sign-up and receive Property Email Alerts of Residential Estates in The Houghton, Houghton. Located in one of Johannesburg's most prestigious and established suburbs, The Houghton Residences are a blend of architecture, craftsmanship, materials and style. Far from the traditional model of estate living, it is a mix of Hotel, Apartment Block and exquisite Penthouse views of the city. 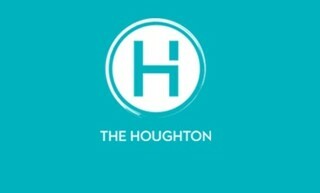 Whilst South Africans are slowly becoming accustomed to the idea of permanent hotel living, The Houghton leads the pack in providing both residents and guests a 5-star personalized service. With seven different levels of security and 7.9km of illuminated paths, the precinct provides a safe haven to walk or socialize during the day or night. Catering for the true urban professional, meeting rooms are available for after-hours networking or residents who work from home. These 6-10 seaters provide hi-tech connectivity, before heading for the gym or a choice of indoor & outdoor pools. The higher end market are fully catered for and incredibly, professional drivers are provided to meet and transfer you safely around town. This is a welcome addition, particularly when considering that a distinguished wine bar & lounge is on offer; inviting guests to enjoy a book or quiet conversation in tranquility. Apartments range from garden units to three bedroom apartments; whilst investment in the hotel provides a real opportunity for capital growth. Views of the Jack Nicklaus design Houghton Country Club are some of the most stunning in the city and when considering its proximity to leading schools and OR Tambo International Airport, The Houghton is sure to become a focal point for local and international businessmen.